Turkish maritime and offshore markets will be appreciating better value-added voice and data services as a result of the collaboration of IEC Telecom and Thuraya. 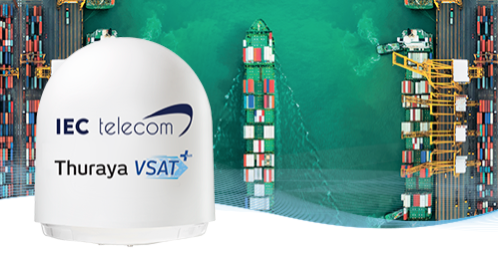 Under the arrangements with Thuraya Telecommunications Company, IEC Telecom will act as the master distributor for VSAT+ across all main maritime market segments and customers, including high-end fisheries, offshore installations and merchant fleets. 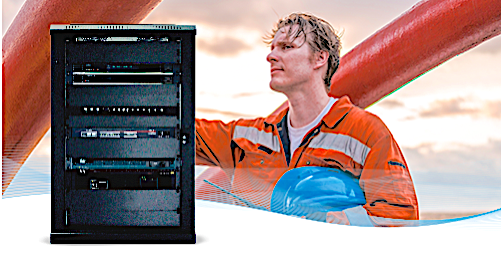 This partnership is further validated considering that IEC Telecom has been a major provider of value-added voice and data services to the maritime industry for more than 20 years and was awarded best Maritime Thuraya Service Partner in 2018. Described as a win-win partnership for both companies and the maritime industry, IEC Telecom will offer VSAT+ across Europe, Asia-Pacific (APAC), Middle East and Africa (MEA). 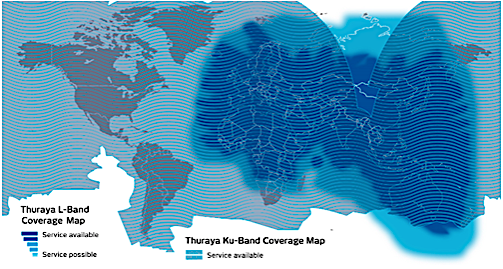 Thuraya launched VSAT+ in Q4 2018 to offer "global coverage, best-in-class data rates to meet growing demand for high-throughput services, and high levels of reliability, security, resilience and flexibility." VSAT+ ensures optimum flexibility by combining Ku-band (for high-speed data) and L-band (for backup and fall back). The service is scalable to meet global and regional needs for communications such as voice calls, email and position reporting, and for high-bandwidth requirements such as training, publications, condition-based maintenance, enterprise resource planning and content for crew welfare. Nadeem Khan, Director Maritime M2M & IoT at Thuraya, said that by appointing a highly experienced, capable partner with wide geographical reach as their Master Distributor for VSAT+, they are simplifying the proposition for resellers to offer high-quality services with no investment in the infrastructure. This is a win-win partnership founded on creating new opportunities for the maritime industry. Nabil Ben Soussia, Vice President Maritime at IEC Telecom added that the Turkish market is an important market for IEC Telecom and the launch of Thuraya VSAT+ marks the beginning of a new chapter in their relationship with Thuraya. Together they have the potential to transform the maritime communications market. Ahmet Aybar, Managing Director at IEC Telecom Turkey concluded saying that IEC Telecom is the only Distribution Partner in Turkey cooperating with major satellite providers such as Thuraya, Inmarsat and Iridium, and their aim is to provide better support and management advantages to the many Turkish maritime companies. Enhanced by a set of value-added services from IEC Telecom, Thuraya VSAT+ offers solutions for maritime communications, and for international shipping companies, Thuraya VSAT+ provides global coverage with no yearly lock-in commitment, and fishing and leisure boats can appreciate flexible tariff plans with a regional focus.